Athens probably won’t pay the IMF debt due on June 30. It’s a tactic – the Greek government can and will honour the debt eventually. But non-payment puts pressure on the euro zone to sweeten its deal – or to collapse Greek banks and accelerate euro exit. 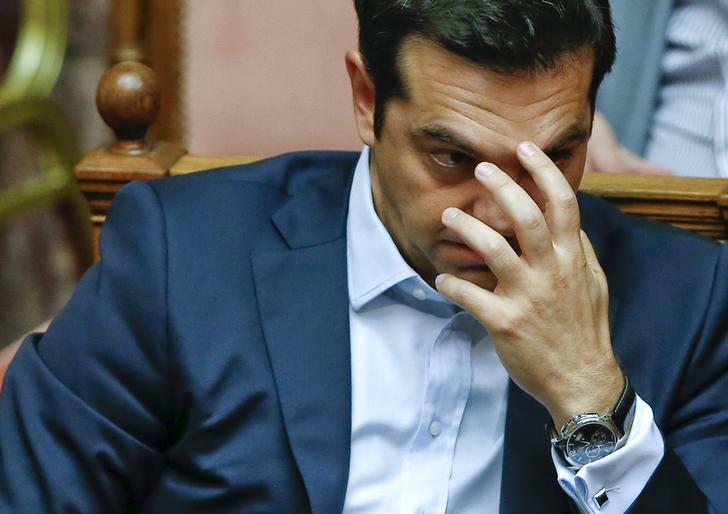 Greek Prime Minister Alexis Tsipras gestures during a parliamentary session in Athens, Greece June 28, 2015. Greece will not make a 1.6 billion euro payment to the International Monetary Fund due June 30, Reuters reported, citing Finance Minister Yanis Varoufakis.